TALK English Schools Aventura is undergoing some exciting changes! 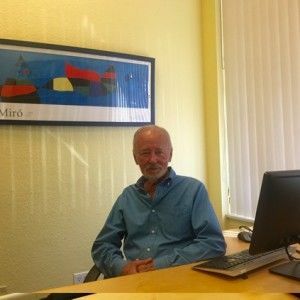 We caught up with TALK English Schools Aventura Director Ken Jeffus recently. Ken joined the Aventura Team as School Director in January, 2009. The school at Aventura was nearly a year old at the time and was the first TALK school to be opened separate from the original school in Davie, Florida. “Our first mission was to strategize ways to bring more students into our new school – despite the fact that a well-established major competitor, with a large number of students, was located next door. This strategy was so successful that within a year the school needed to expand its space and add more classrooms. New construction increased the total number of group classrooms to 7, and a later conversion of a small office created a small classroom for 3 to 4 students. The TALK English Schools Aventura family continued to growing significantly every year. Ultimately, permanent space became available in the complex the school occupies, and 3 more classrooms were added to create the grand total of 11 classrooms. Ken Jeffus explained how the TALK English Schools Aventura is able to tap into the local demand for English as a Second language learning. “Our students are attracted to the area because there are good-sized Brazilian, Russian, Venezuelan, Argentinian, and Colombian communities in the immediate neighborhoods. The area is known to them to be clean, attractive and safe, and it offers top-quality living, shopping, restaurants and entertainment within minutes of their residence. Miami to the south, and Fort Lauderdale to the north are only 30 minutes away by car. The first phase of construction involves the interior demolition and development of more than three-thousand square feet of new expansion space. Subsequent construction phases involve the complete renovation and expansion of our current reception and staff office areas, existing classrooms, and more. The entire project was designed by a top architectural firm to create a carefully coordinated, high-impact and super-modern design to appeal to, and convey our brand to, students of all ages, from all over the world. The new expansion will bring all classes, registration, reception and administrative areas together in nearly 8,000 square feet of beautifully designed space, all under one roof. Talk English Schools Aventura’s phenomenal growth is a result of both its location at the center of this great region, and its early commitment to build a reputation for fairness, service, integrity and quality within each of these cultural communities as a key component of its sales and teaching effort. 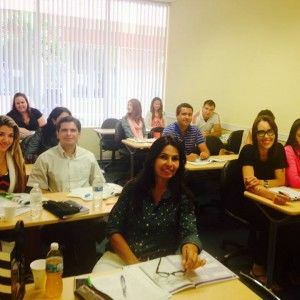 Today, as it continues to offer the very best in terms of quality teaching and state of the art methodology and design, word-of-mouth recommendation is TALK Aventura’s strongest connection to its future students. Learn more about TALK English Schools Aventura here!